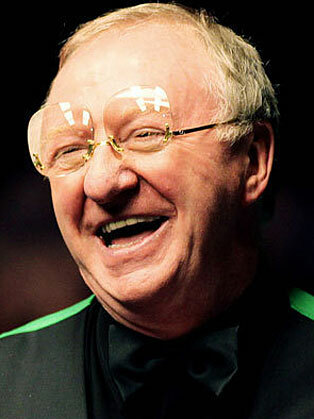 Dennis Taylor is best known for winning the World Snooker Championship in 1985. Dennis Taylor's remarkable 18-17 victory over Steve Davis on the final black of the 1985 Embassy World Snooker Championship has justifiably become regarded as one of the great moments in British sport. A record viewing audience of 18.5m were tuned to BBC Two, the largest after midnight figure ever recorded and BBC Two's best ever ratings. It was also, at the time, the largest British audience for a sporting event. Taylor's exuberant celebrations - complete with finger wagging, foot stamping and cue waving - provided the perfect release to the tension that had built as the match progressed towards its thrilling climax. Dennis Taylor is a retired snooker player and current BBC snooker commentator. Winner of two ranking events, he is best known for winning the 1985 World Championship, beating World number one Steve Davis on the final black in one of the sport’s most memorable finals. He also won the Grand Prix in 1984 and the Masters in 1987. Taylor is also well known for his sense of humour and his trademark oversized spectacles. He regularly made appearances on the snooker-based gameshow Big Break.